A unique interpretation of the moccasin shoe by premium British brand Oliver Sweeney. 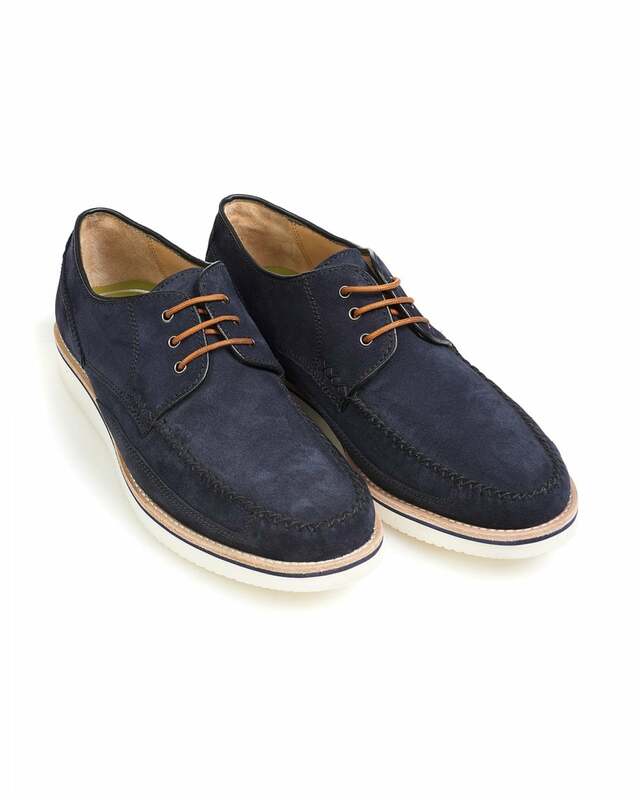 Crafted from sleek suede, these derby style shoes can be used to enhance your casual and smart casual outfits. Perfect for warm spring and summer days.